Some of the most popular industrial and consumer robots are dangerously easy to hack and could be turned into bugging devices or weapons, IOActive Inc. said. 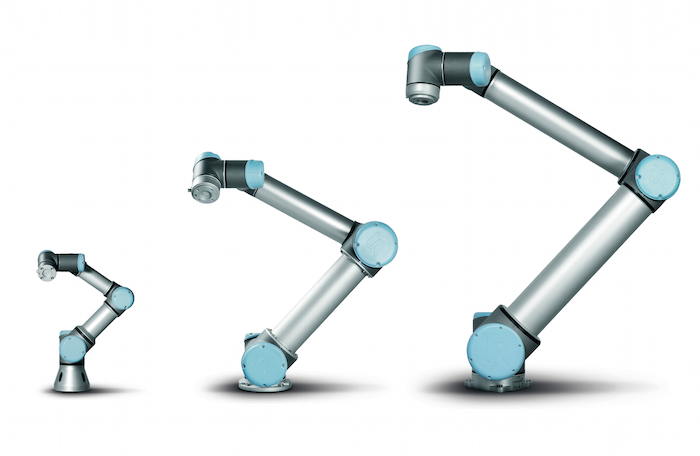 Universal Robots’s devices are designed to work directly alongside humans without being confined to a cage for safety, as with many other industrial models. But IOActive was able to remotely hack the software that controls the robot and disable key safety features. This could result in them being programmed to injure the humans around them. With the robots intended for home use – SoftBank’s Pepper and NAO – IOActive found that cyberattackers could use them to record audio and video and secretly transmit this data to an external server. UBTech’s Alpha series home robots did not encrypt sensitive information they captured before storing or transmitting it, opening an avenue for cybercriminals to potentially steal important personal information, IOActive said. As with the Universal Robots machines, these home robots could also be made to carry out physical attacks. Although they are much less powerful than the industrial models from Universal Robots, IOActive released a video of a test in which an otherwise cute NAO robot suddenly begins laughing in an evil and maniacal way and uses a screwdriver to repeatedly stab a tomato. While the video is clearly intended to be humorous, IOActive’s researchers said it had a serious intent: one could imagine the robot potentially launching a similar attack against an infant, toddler or pet. “If we know about these vulnerabilities, chances are that we’re not the only ones,” Lucas Apa, principal security consultant at IOActive, wrote in an e-mail. SoftBank spokesman Vincent Samuel said the company was aware of IOActive’s findings and had already fixed all of the vulnerabilities the cybersecurity firm discovered. UBTech didn’t respond to requests to comment on IOActive’s findings. Apa said that IOActive had not been able to confirm that SoftBank had issued patches for all of the vulnerabilities it found. IOActive issued an initial report highlighting many of these vulnerabilities in March but withheld the specific techniques used to hack into the software that controls the robots in order to give manufacturers time to fix flaws. On Tuesday, the cybersecurity firm made technical details of the hacks public. Apa said the intent was to make the public aware of the risks and prod the manufacturers to fix the security flaws. He said IOActive wanted to highlight the need for robotics companies to think about cybersecurity at every stage of their design process. “These are early days for the robotics industry, but as it grows, we want to make sure it has a more secure future,” he said.